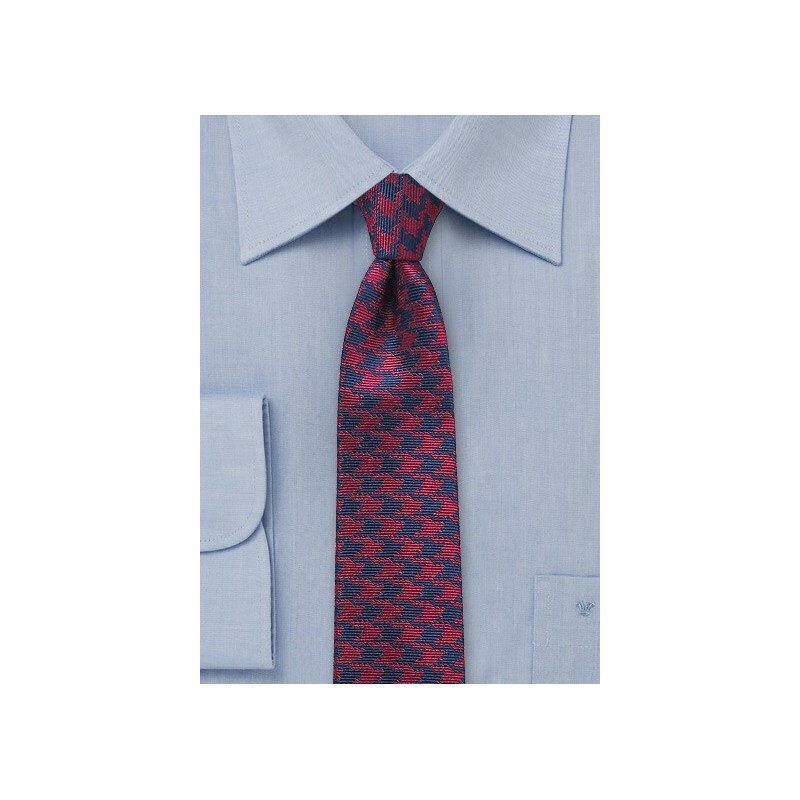 Combine this skinny houndstooth check tie with your modern suits and you might be on your way to be the most stylish man in town. 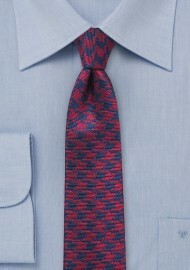 This tie is most effective when paired with a slightly dressed down wardrobe. Perfect is the jeans, dress shirt, suspenders, and tie bar kind of look. Also available in colors black and silver, dark blue and silver, as well as cranberry red and silver. Handmade, 100% silk.